* you can interchange ‘graphic’ with ‘visual’ too … same thing! Anyway … in the last online version of the course, I had a really nice (and talented) guy register who had been watching me for years on Facebook. He has a teaching background and is also a talented illustrator. 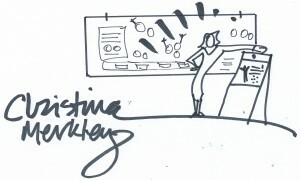 He’s been fascinated by Graphic Recording and Graphic Facilitation for awhile … yearning to get into it. So he finally connected and registered for the course. As part of the program I include a private 45-minute coaching session with me … so I can have some private time with each participant and help connect the dots of the hefty volume of info I cover to that person’s particular situation. I was just itching to get to the private call with him, as there were a lot of things I wanted to share. I wanted to reiterate to him how great his illustration skills are. That he has some really useful talent that can be capitalized on. And also his temperament and character (being a kind and friendly person goes a long way in any business, but especially in this kind of work (where you are interacting with different types of people all the time), and he has those qualities in spades). Your Goal Needs To Be To “GET IN THE ROOM”. I also wanted to push him to ‘JUST GET IN THE ROOM’. I had equipped him with the base beginning knowledge he needed. And he had diligently applied himself to all the drills I put my students through. His biggest hurdle was he needed to see that it isn’t rocket science. 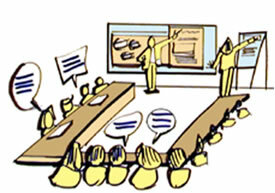 Yes, Graphic Recording (and its cousins of Graphic Facilitation and Graphic Coaching) are professional skills. And you don’t get good at them overnight. But he has all the essential ingredients to be good at the work (including living in a geographically desirable area for the work … i.e. a large metropolitan area and close to airports to easily travel to other cities). He just needed to get in the room to observe other Graphic Recorders in action, to see that yes, he too can do it (with some continued application and perseverance). Now, getting in the room takes a bit of work. I suggested he contact Graphic Recorders (and Graphic Facilitators if he can find them) that work in his general area. Call them up, take them out for coffee or a meal, bring along his portfolio (either hard copy or on his iPad) and in short, introduce himself and his desire to learn more about the field. I even suggested that he scan the whole country for practitioners that intrigued him and he do the same thing with them (maybe a virtual version if he can’t fit in a travel trip). In essence, he was searching for folks that ultimately might be ok with him tagging along on an Graphic Recording assignment or two. 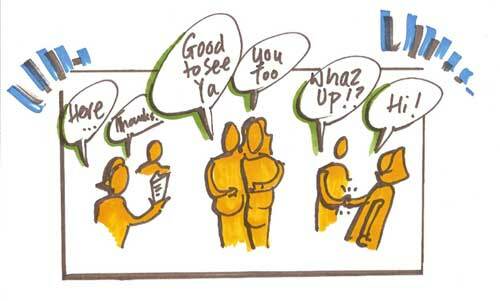 The Graphic Recording community is generally a very friendly one. Most of us got our start because some early mentor gave us the same kind of break that he was looking for. He may encounter a few folks who aren’t receptive to meeting him and/or helping him out (they are too busy, their meetings are too confidential or high stacks to bring someone along, or they have scarcity consciousness about helping what could become their ‘competition’). So I told him if he encountered folks like that, to just be polite and keep looking. I also explained that it would help him get in the room if he also offered to work for free. To help with pre-prepared charts (he is a wonderful illustrator after all), to schlep materials, to help post paper, maybe even to help color or illustrate things live if the Graphic Recorder was into that. Or, he could just quieting sit in a corner of the room and stay out of the way and observe. What‘s he going to get by being in the room? He’s going to see how it all works. He going to see how the Graphic Recorder and their client interacts. He’s going to see the set up (and later the take down on the room). He’s going to see what materials the Graphic Recorder brings. And he’s going to observe the meeting process and how the Graphic Recorder work (or doesn’t work) in tandem with the group process that is going on in room. Chances are, by attending a few of these, he’s going to quickly de-mystify the whole thing and his internal sense of confidence that yes, he too can do this, is going to go up. Plus he may endear himself to some of those Graphic Recorders who give him his first leads, which leads to his first work. I also told him that he be sure to get a diversity of experiences. 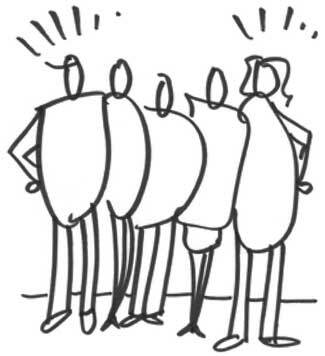 Don’t just observe one professional, try to participate with as many of them as you can. Cause there is such a range of ways that this work gets done, you don’t want to assume that the whole field is how one professional does it. As he observes lots of role models, he’ll begin to see what his own identity, preferences, styles and strengths are. And then he’s off and running towards creating a full fledge Graphic Recording career. To find those professionals, he may be lucky to have enough of them in his own general geography. However I insisted he should be open to driving or flying longer distances if need be, on his own dime. That he shouldn’t balk at that because that early investment WILL pay off. It often is the difference between those who make it and those who don’t (who play the woulda, coulda, shoulda game with their goals instead of making them happen). We talked about a whole lot of other strategies to build his business too (tweaks to his website, portfolio pieces he could build, places to network, starting up his own visual practitioners chapter if there isn’t one in his area yet, etc). But, at the end of the call, the first one that he really needed to follow was the title of this post … to JUST GET IN THE ROOM! P.S. 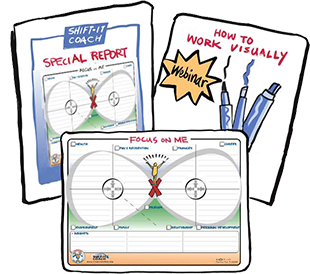 You interested in Graphic Recording, Graphic Facilitation and/or Graphic Coaching too? If so, secure yourself a seat in an upcoming Fundamentals of Interactive-Visuals (just one spot left in this month’s in-person version coming up!). 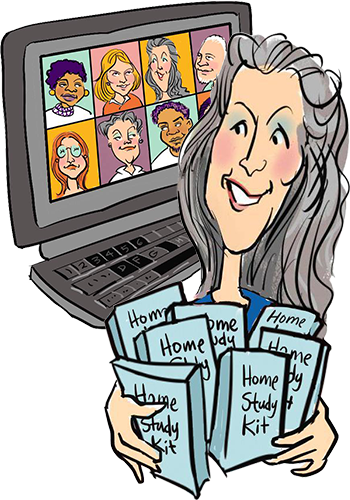 I also offer private trainings & apprenticeships, private mentoring for beginners and advanced (long distance options available) and in-house workshops (if you have several people to train). …You ever have that weird deja vu feeling? I ran this as a blog post several weeks ago,and it cascaded to both my FB pages. Look for Suzannah from Ahha Consulting’s comments (she offering potential access to some of their gigs … follow up with her!). Good luck! Thank you Christina for the kind words, the valuable training, and all of the encouragement–your faith in me means more than I can tell you! FYI: I went ahead and emailed Susannah–as with the others that you recommended…I will let you know what (if anything) comes of it. Also…I just got a gig for the Center for Non-Profit Management in LA. I did a workshop there with one of my colleagues a few months ago, and last week they contacted me to see if I was available for this event. It will consist of doing live-recording for all of the keynote sessions at their annual 2-day conference, and pre-event chart work for a dozen or so break-outs. I am very excited about it, and will be sure to let you know how it goes! That is AWESOME, way to go. I’m sure it will go swimmingly and you’ll have another testimonial and portfolio examples to boot. Have a great time with it! I was very inspired about you article about the individual who show lots of promise in the business and all of the excellent advice you have provided to him. I gather this person’s name is Greg and it looks like he has booked himself into some major events! Good on you both. The only thing missing from your article were some samples of Greg’s work. I kept waiting for that to show up as a link but if it was there I missed it. Kindly refer me to a spot where I can see what this gentleman is all about? Thanks so much for the inspirational article. Hi Franki. I wrote the article in a general way to protect his identity, given I was writing about one of my clients and the gist of his coaching session with me. Greg – since you have outed yourself on here … feel free to share your website link too so Franki and others can see your site (if you are willing).